You can take years off of your home's exterior with these simple tips. Contrary to popular belief, your front door doesn't need to be a neutral color. In fact, having a front door that pops is an incredibly modern touch that can make your home look newer and more expensive than it is. We're big fans of the lime green or red trend, but find one that suits you! Here's a fun guide on choosing the right front door color for your house. 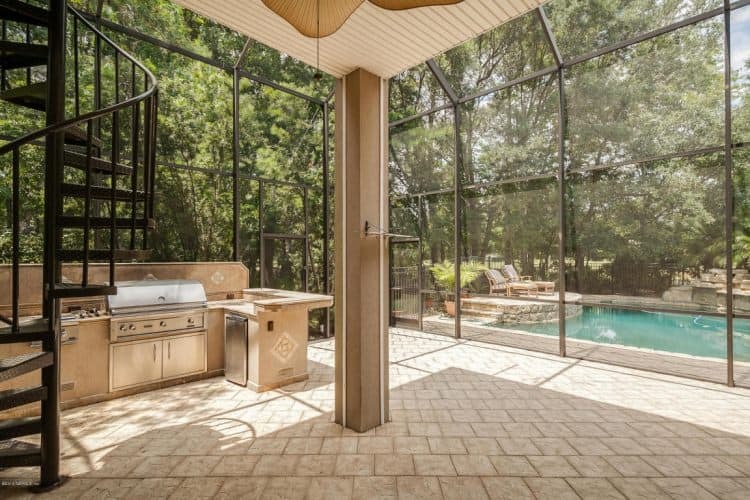 You don't have to put a screen around your open porch or even replace the railings to change the atmosphere of your outdoor hangout spot. You could, however, get some new light fixtures and furniture to make it more welcoming. Rocking chairs just beg you to come outside and sip some coffee or wine, while big, statement lighting fixtures create a soft, atmospheric glow. Don't forget to put lights leading up the walkway for night-time visitors. A lot of people have staircases leading up to their decks, balconies, or second stories. 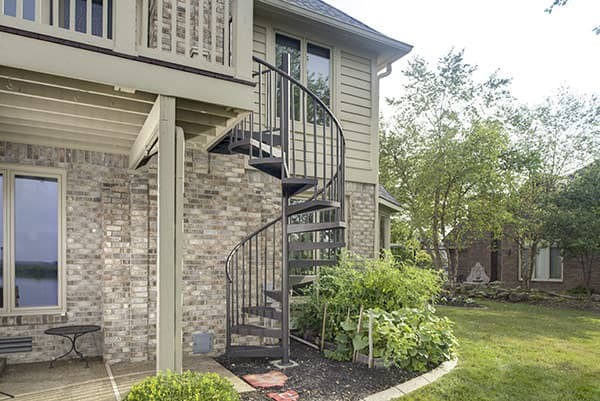 You might not be aware of just how easy it is to install an outdoor spiral staircase – and this one small change makes such a difference, it might as well be a radical makeover. They're the perfect modern accent, and interior designers love them. Get rid of those dollar-store address number stickers and go for something more visually appealing. 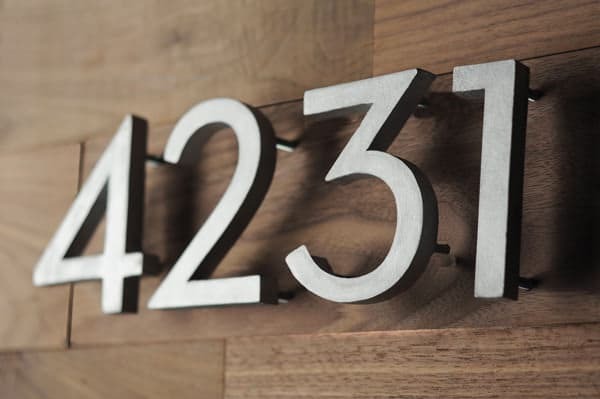 Big, bold numbers below an outdoor light, depending on the font, help to create a certain mood and theme for the home; plus, they make it easier for guests to find the house and are delightfully easy to install. Even if you live in the city, chances are, you've got front windows. Don't let them be bland! 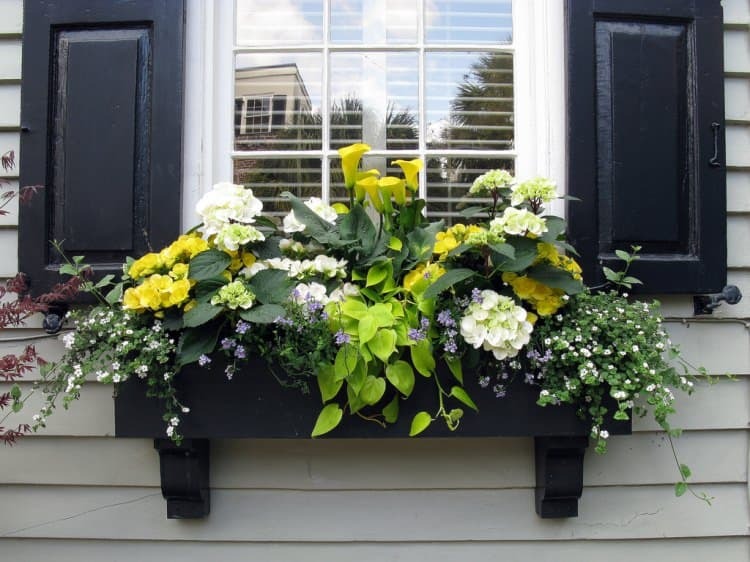 Try hanging planters outside the window and filling them with colorful flowers. If not, put some artificial candles in and make sure they're lit at night. You could also hang stained glass art or install interesting shutters to complete the look. If you're looking to rent or sell your home, curb appeal could be a defining factor. You don't have to completely redo your home's landscaping or refinish your home's exterior. 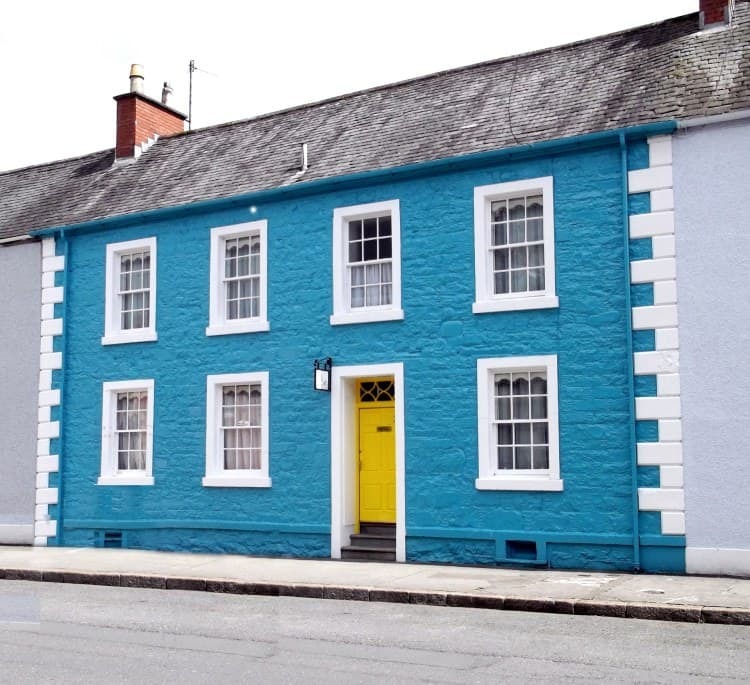 These four tips are simple ways to make your home look younger and appeal to a wider range of prospective buyers. With all of these projects taking no more than a weekend, it's an easy way to update your home's look.